Last night we enjoyed dinner over at Dave and Heathers. Unfortunately, because of Heather’s schedule, we rarely get the opportunity to visit them. Besides her day job, Heather does taxes and Dave ref’s hockey and broom ball. We just don’t have many weekend opportunities to hang as theirs are usually consumed. Dave served us two different types of Port. One is a Ruby from Portugal and the other a Tawny from Ohio. You might find yourself wondering “What are the differences between Tawny and Ruby Port?” I will try to describe them. Tawny ports are made from red grapes, that are aged in wooden barrels, exposing it gradually to air from evaporation. As a result, they gradually mellow to a golden-brown color. The exposure to oxygen imparts “nutty” flavors to the wine, which is blended to match the style of the maker. Tawny ports are sweet or medium dry and should improve over age. Ruby port is the cheapest and most extensively produced type of port. After fermentation, it is stored in tanks made of concrete or stainless steel to prevent additional aging and preserve its rich dark color. The wine is usually blended to match the style of the maker or brand. Reserve port is a premium ruby port approved by the IVDP’s tasting panel, the Câmara de Provadores. I researched the name. Since I do not know/speak Portuguese… there was not a lot of information on the tasting panel. Ruby Port wine generally does not improve with age. Chris and I spent some time in Portugal in 2000. We reminisce and sure wish we would have paid more attention while tasting all of the wonderful wines and Ports. We did drink a great deal of wonderful wines and Ports while we were there, but wish we had a better appreciation at that time. 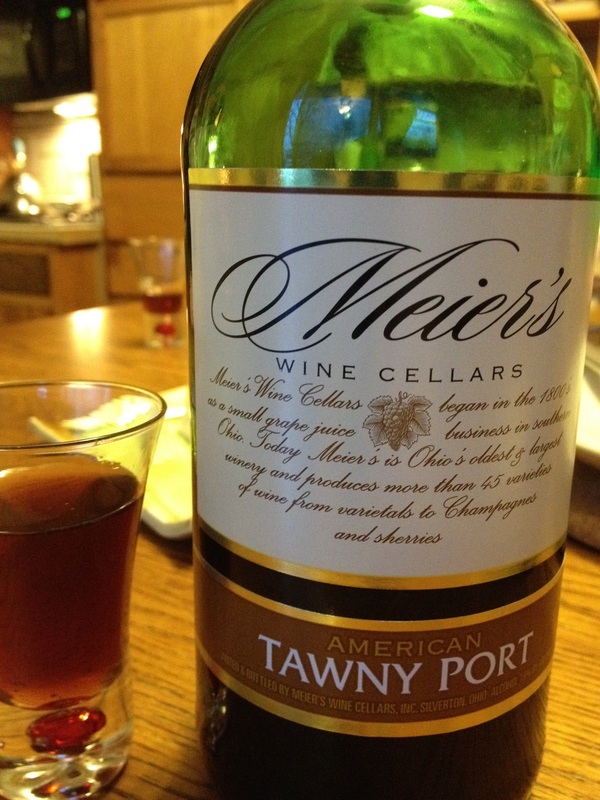 The Tawny port we tried came from Meiers. Meiers is a 100 year old winery in Ohio. 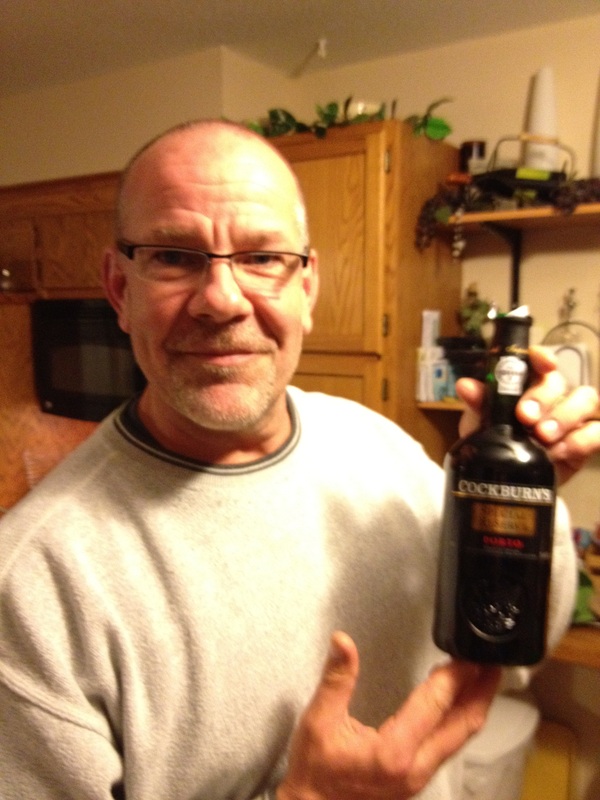 Dave told me this was a very inexpensive port. If you pay over $15 for a bottle of this port you are paying to much. As we tasted the Meiers tawny I was quite surprised with the taste as it was very smooth and delicious! It had a caramel after taste. The next port is a ruby from Cockburns. 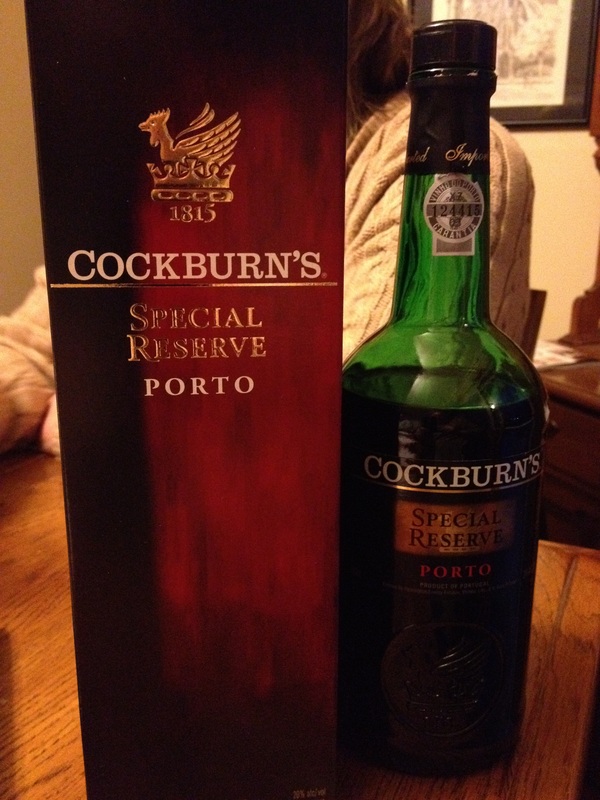 The Cockburns is a Reserve port from Portugal. In reading the label this port, I noticed it had a high percentage of alcohol. 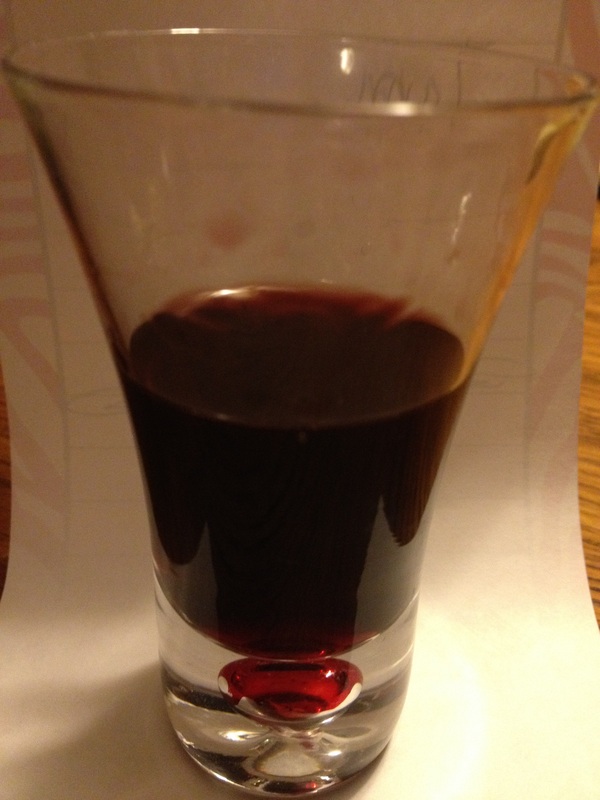 As we poured the wine into a small glass I noticed the extremely dark color and some of it’s sediment. Smelling the port there was a hint of berry and plum. As we drank the port we tasted dark chocolate and black cherry. It was a little tangy and a little dry. If I had to choose between the two ports, I would choose the Cockburns. We had plenty of time, so I decided to have one more glass of Cockburns! Dave and Heather will accompany Chris and I for a wonderful trip to Napa Valley in May. We plan on taking them to a few of our favorite wineries and look forward to him sampling more port wines. A certain stop will be at Heitz winery so that we can have Dave try one of our first favorites – the Grignolino Port. If you have a favorite please let us know? hi there, great post, and an excellent understand! definitely one for my bookmarking.